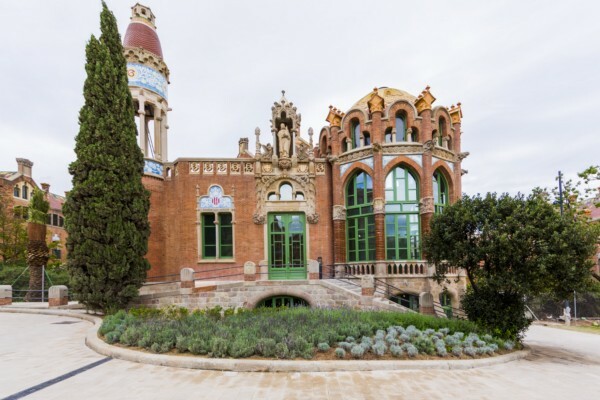 After a complex restoration that started in 2009, Sant Pau’s Hospital —a city-garden inside the neighborhood of the Eixample in Barcelona and equivalent in size to nine city blocks— is once again what the modernist architect Lluís Domènech i Montaner projected between 1905 and 1930. 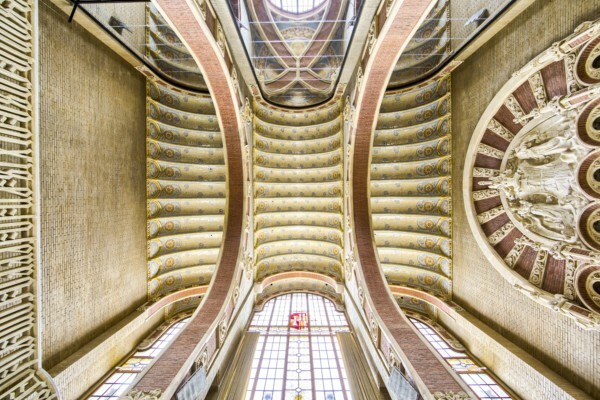 Its original powerful architecture and ornamentation have recovered all of its glory in what is now the largest modernist architectural unit in Europe. 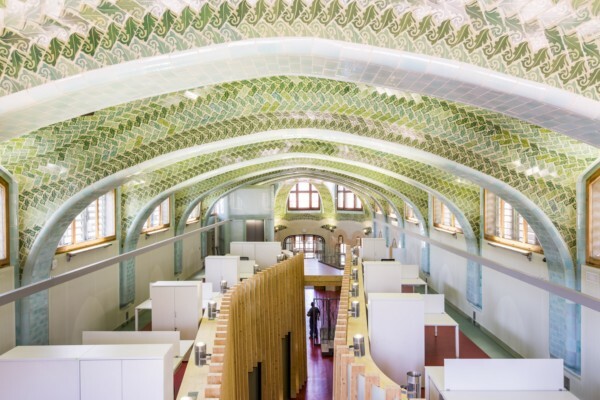 And, inside the pavilions, highly damaged after eight decades of medical use, the restoration brings imaginative decoration solutions and the latest in technology, an effort that has mobilized more than 30 teams of architects and experts. 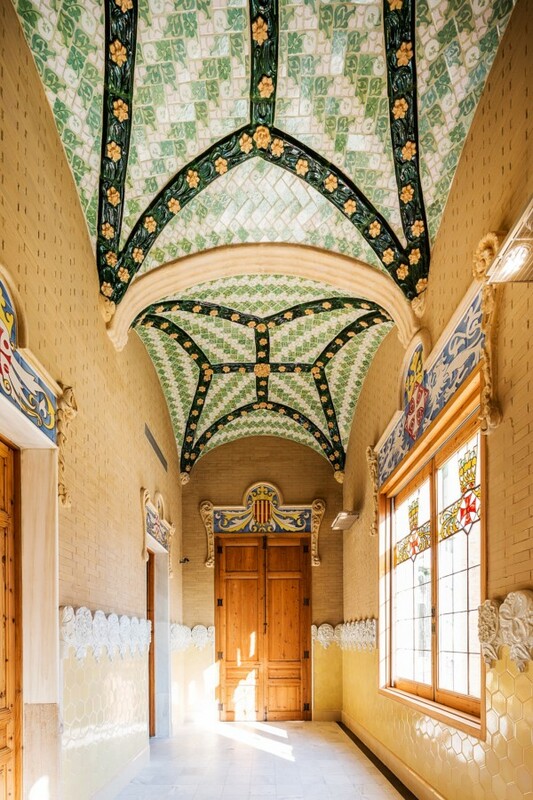 If you have time, we invite you to take a tour and enjoy of this superb restoration project. DiarioDESIGN had the privilege to do so thanks to Lutron, one of the companies involved. 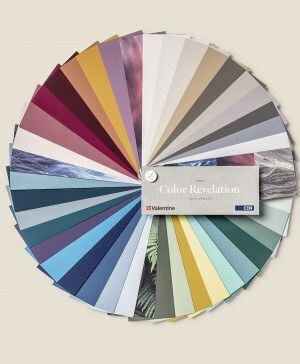 More about Lutron on diarioDESIGN. You can check all the home automation solutions Lutron offers here. 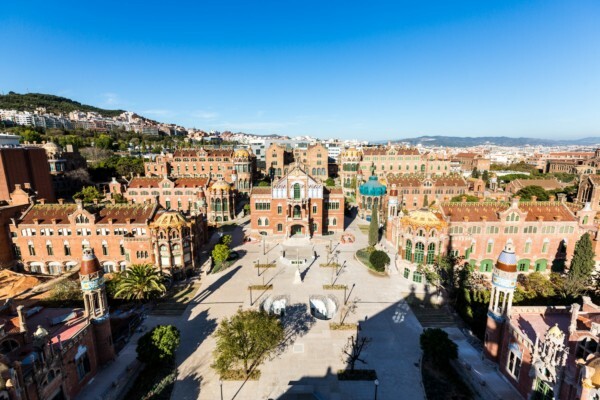 Photography by Robert Ramos, courtesy of Sant Pau’s Hospital. 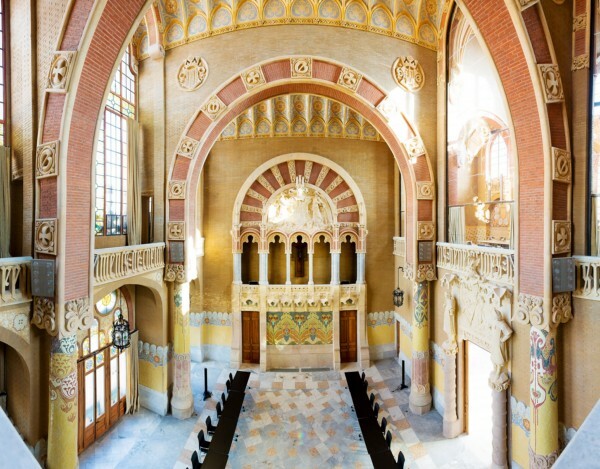 Domènech i Montaner conceived Sant Pau over a century ago as a hospital composed of several pavilions, well-oriented, ventilated and surrounded by gardens. 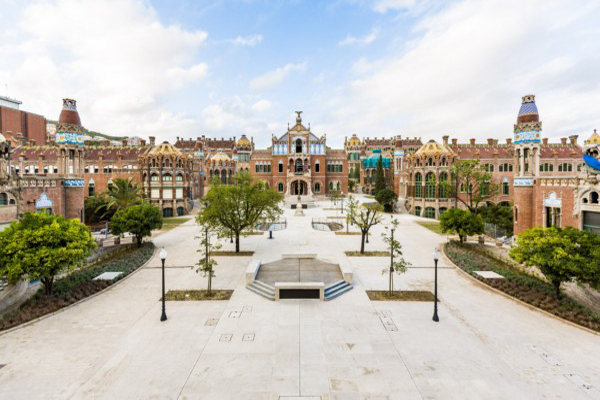 The actual restoration process of this modernist enclosure site with World Heritage status by Unesco started during the Autumn of 2009 when the medical services were centralized and transferred to the new premises built in the northeastern end of the architectural complex. 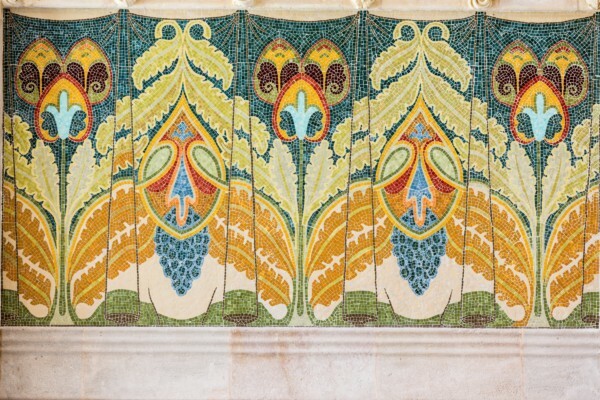 During the previous eight decades of medical activity, the modernist building had suffered multiple architectural changes affecting both its structure and the ornamental elements. Given the situation, in 2006 a Master Plan was drafted to evaluate the situation of the pavilions and set up a roadmap for its rehabilitation. The conclusion: the whole complex was in a critical condition. 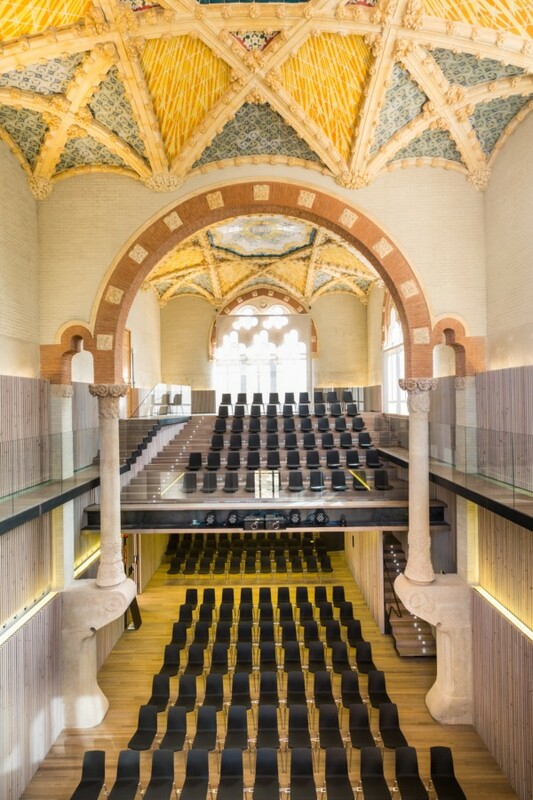 The first restoration stage comprises a building area of 29.517 sqm, 31.052 sqm of outdoors space, 12 pavilions and 1 km of underground galleries, with a total budget of 100 M €. 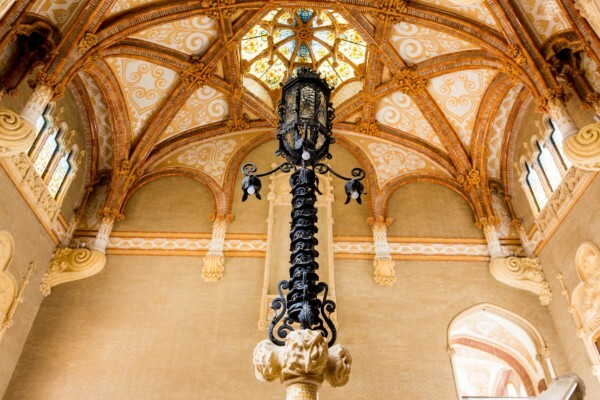 Before starting any work, the different teams of architects developed a very thorough historical investigation and documentation process to find out the original configuration of the buildings, the construction materials used and the layout of the ornamental elements. The ultimate goal was to guarantee consistency and harmony among all proceedings. 1. 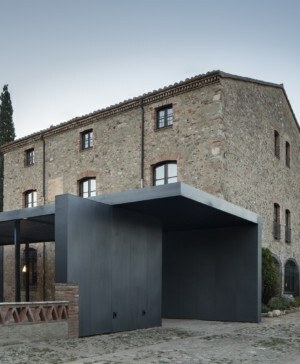 Recuperation of original volumes: elimination of structures and buildings added to the original premises. 2. 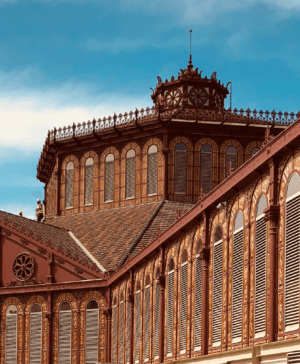 Consolidation of structural elements: restoration of the internal iron framing of the pavilions, deteriorated due to time and the effects of corrosion. 3. Design of new installations and infrastructure: Construction of a perimeter ring and a network of underground rooms to accommodate the equipment, keeping the buildings intact and reducing at the same time the visual impact that these facilities could have on the heritage. 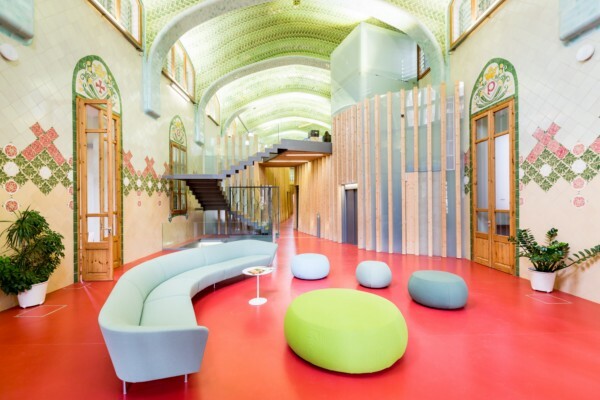 The restoration of Sant Pau’s Hospital has been executed with another goal in mind: to turn the architectural complex by Domènech i Montaner into an efficient and sustainable space. 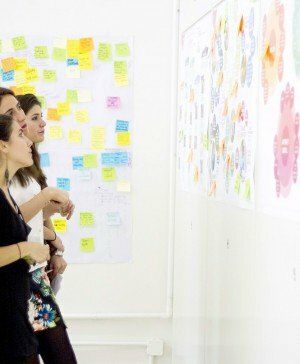 In order to do so, the standards and solutions implemented have allowed to decrease the energy consumption and to maximize the water resources, among others. This is evidenced by the geothermal air-conditioning system for all buildings —one of the most important works of this kind in the european continent— which optimizes the different temperatures of the inner layers of the Earth to heat or cool a closed water loop. On the exterior, all plants are native species and have an automated irrigation system. 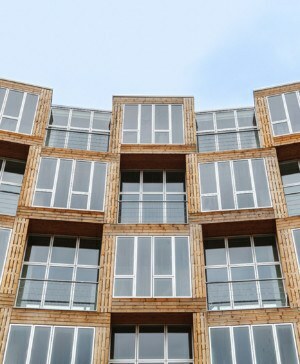 Additionally, every building has been equipped with different systems to adjust the use of energy according to the users needs, such as presence sensors or central management and control systems. 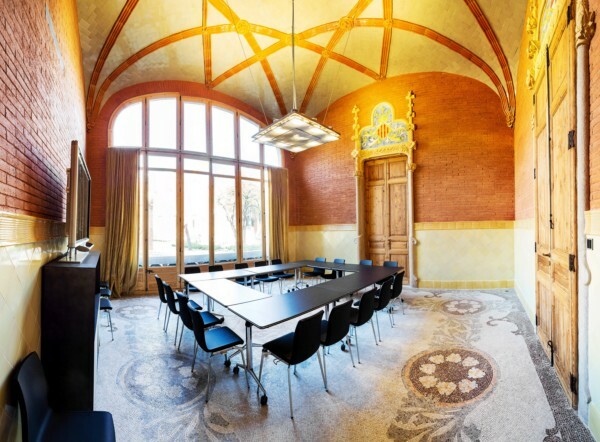 Proof that this restoration is energetically efficient is that there is not a single air-conditioning unit or radiator in any room. 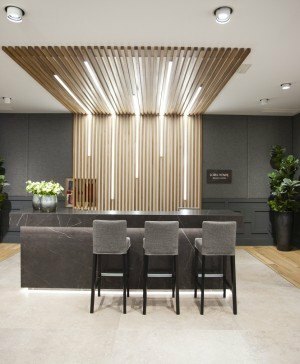 Lighting control, provided by the company Lutron, is 100% domotic and is controlled via WiFi to avoid any wiring; even the switches are mobile to prevent any damage on walls or mosaics. The inner new layouts on each pavilion respect the original elements and any new division or workspace needed have been defined by overlapping or mobile structures. Today, this Modernist complex has been transformed into an innovation and knowledge campus, so the renovated pavilions foster cutting-edge organizations in the areas of education, sustainability and health. The University of United Nations, Casa Asia, the European Forest Institute, the Global Water Operators Partnership Alliance, the Resilient Cities Profile Program of UNHABITAT, GUNI and the World Health Organization are the first organizations to occupy the new pavilions. 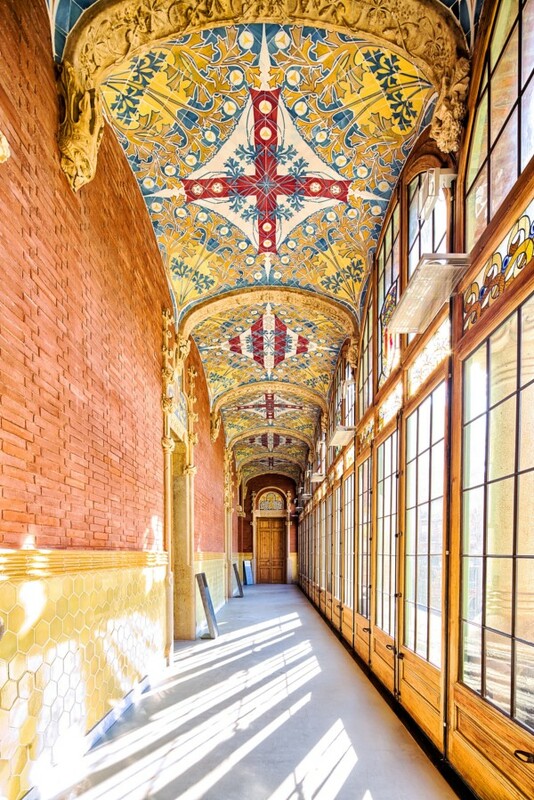 Created by Lluìs Domènech i Montaner between 1905 and 1910, during the hospital years it hosted various uses such as admissions, finance or customer services, Occupational Health Service, Historical Archive and the offices. 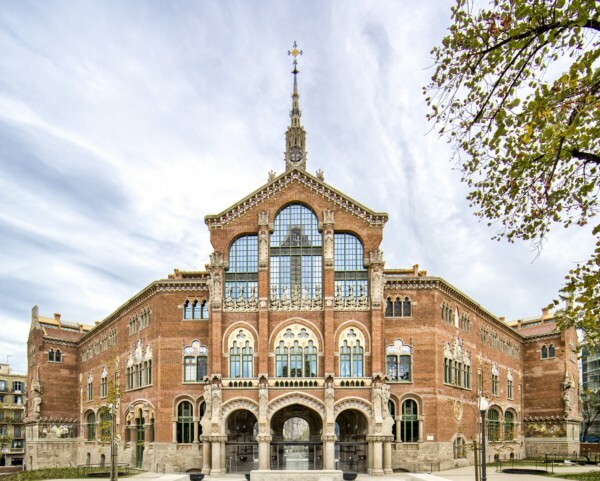 Today it hosts the headquarters of the Santa Creu i Sant Pau’s Hospital Private Foundation and the cultural branch, the Historical Archive, as well as the rental spaces service. 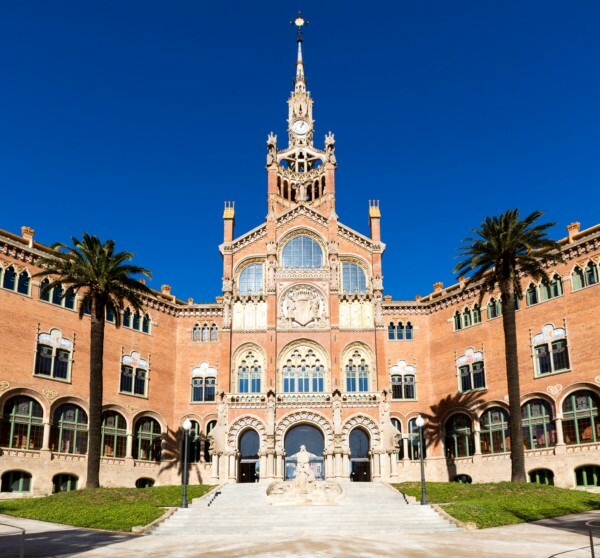 Built by Lluìs Domènech i Montaner between 1903 and 1918, the brick and stone ashlars and columns are the main construction elements of the facade. 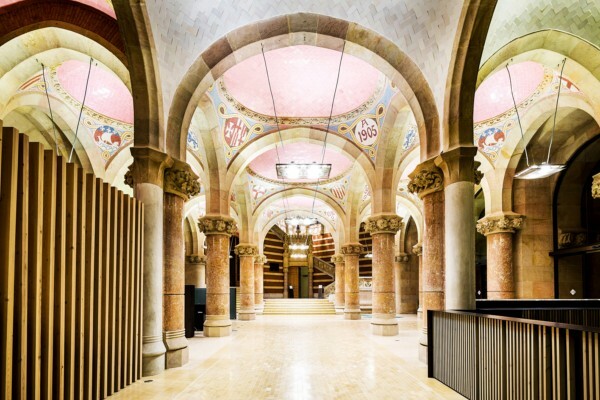 Inside, mosaic and stone as ornamental elements converted the space into a luminous and colourful space. 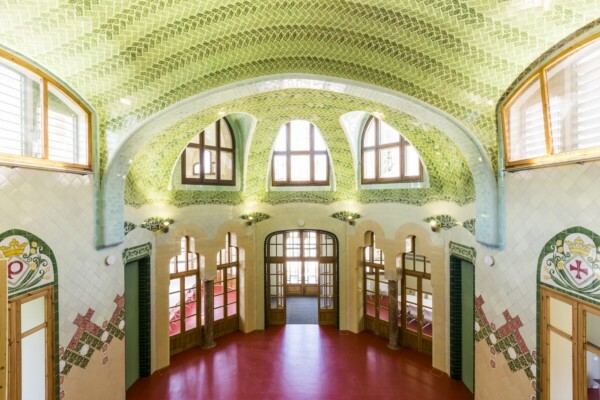 Amongst the artistic attractive of the building, the work of sculptors Eusebio Arnau and Pau Gargallo are highlighted features as well as the mosaics of Mario Maragliano. Its last medical use consisted of hosting services of Internal Medicine, Dermatology, Teaching, Organ Donation Coordination and Tissue Bank. 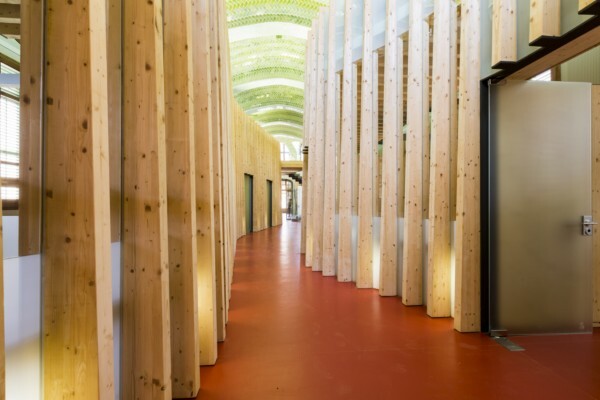 Currently it hosts the headquarters of the European Forest Institute, UN-HABITAT and GUNI. 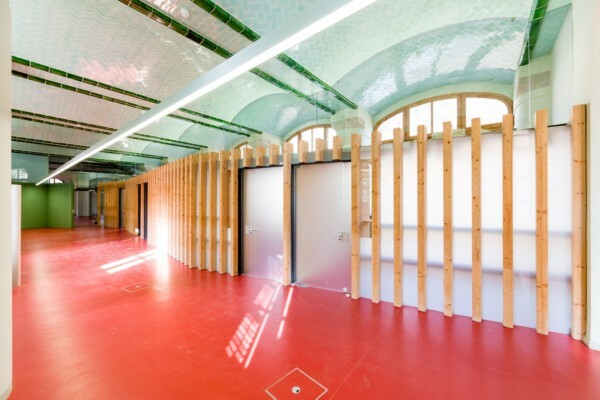 The interior project has extended the useful area by implementing a mezzanine in the central building. This structure, ephemeral and respectful towards the original framework of the pavilion, is formed by sets of spruce wooden laminated slats. 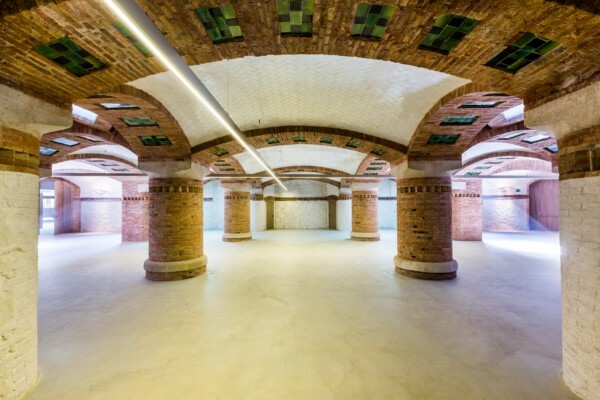 Inside this space a series of offices and workspaces have been set, complementing the great open space that remains in the upper part of the mezzanine. 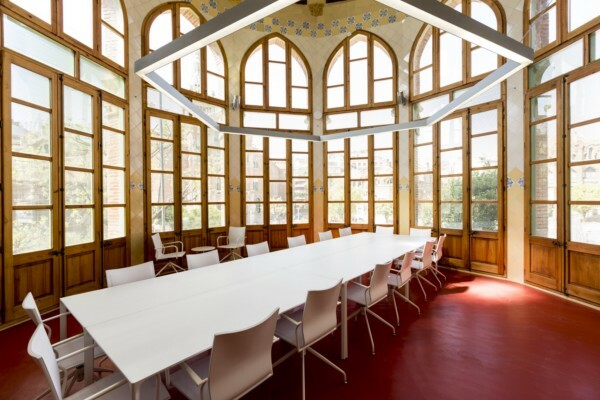 Wood and glass are the main elements in the new dividing panels, which have allowed to turned the level -1 of the pavilion into a spacious office area. 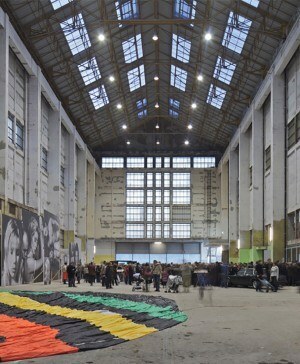 Inside this space, natural light plays a prominent role thanks to the recuperation of the great original openings. 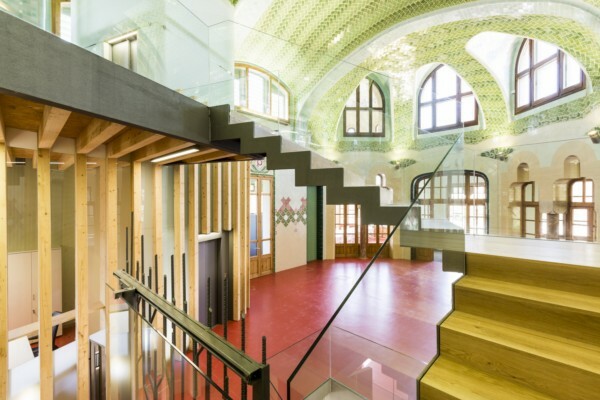 Restoration by: Ramon Calonge (structural consolidation and restoration of facades, domes and terraces) and Xavier Guitart (interior restoration and adaptation). From 10 to 18:30 h. (until 16:30 from November to March). Sundays and holidays, from 10 to 14:30 h.